There's Nothing like Strawberries to Welcome Summer Days! There’s Nothing like Strawberries to Welcome Summer Days! Are you thinking of ways to beat the summer heat and looking for some fun-filled ideas? Then you should head to Panchgani from the 28th-31st of March 2013. Not only will you derive immense pleasure by watching the breath-taking views this hill-station offers, but you also get a wonderful chance to see rows of ripe, fresh strawberries, pluck them off the plants and relish them FREE. Yes, you read it right! The Panchgani Strawberry Festival is calling all strawberry fans to have as many strawberries as their heart desires and it’s totally on the house. Only 200 kilometers from Mumbai, the city of constant hustle bustle, Panchgani is accessible by road, train or bus. It is called the Land of Five Hills since it is surrounded by the Sahyadri Mountains. Prior to India’s independence, it was the British who were in power that time who realized the potential of this region and turned Panchgani into the perfect summer retreat. In addition, they also began growing strawberries owing to the climatic conditions that largely favored this fruit. Over the years, the production of strawberries has significantly increased as the natives took to developing the crop. It might be difficult to believe but the fact is that Panchgani, together with Mahabaleshwar and neighboring areas, accounts for more than 80% of the nation’s strawberry requirements. Strawberry Bhel, Sounds Incredibly Tempting Doesn’t It? You can lay your hands on this yummy dish by going to the Mapro Strawberry Festival held during the Easter weekend. Mapro, a major manufacturer of strawberry products, started this unique event 4 years ago. The event itself lasts for four days. As many as 250 farmers from neighboring areas take part in the festival. While the strawberry bhel is an interesting mix of crunchy corn and juicy strawberries, you can also try other novel strawberry-based items such as strawberry pizza or sandwiches, chocolate dipped strawberries, etc. And not tasting this delicious fruit right from the Mapro garden is no less than a crime! Loads of other pleasurable activities are lined up for you when you come for the fiesta. For example, you can watch the energetic Lezim dance performed by dancers in colorful costumes. Originally from the state of Maharashtra, you should witness this dance form for the mind-blowing agility and co-ordination that it portrays. You could probably even learn a step or two from the lively dancers! Those who are in the mood for some Hindi music can swing to the tune of some timeless Bollywood classics, which are crooned by a peppy live orchestra. Get yourself inked by the water color tattoo artists or let the Mehendi artist draw a delicate design to adorn your hands or feet. Be a part of the incredible strawberry plucking walks. You get a rare chance to amble through picturesque strawberry shrubs and choose them as per your liking. After all you are not coming back till the next year so make the most of savoring the free strawberry and enjoying the lovely climate and magnificent scenery that Panchgani has to offer. It is sure to rejuvenate your senses. Don’t miss this opportunity that comes once a year. 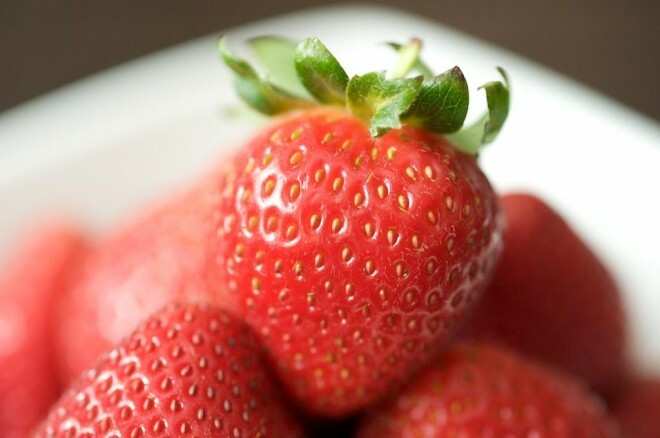 Head to the Panchgani Strawberry Festival this March and cherish your taste buds. You’ll undoubtedly have a gala time at this strawberry fiesta! And just in case you wish to take home some gifts for your loved ones, stop by the several strawberry farms on your way back and take umpteen boxes of fresh luscious strawberries!